I completed this blanket a few weeks ago for my bosses nephew. I actually really like the material, it’s Silke Alpaca from Scandinavian Knitting Design, and while it was quite thick , it was incredibly soft. 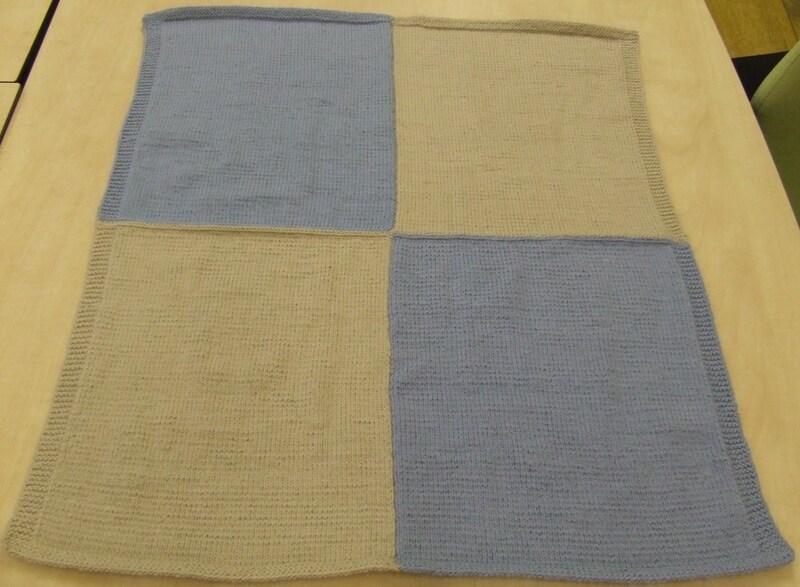 Compared to my other baby blankets that I make this was easier and quicker to knit, as it was knitted in four separate parts. Also, the fact that it was so soft made it a real pleasure to work with. The colours were well chosen, especially as it was for a little boy. I’ve got quite a few more things to add on here, but keep forgetting to do so during the week. At the same time I also have a whole lot more things to finish, especially some more blankets. So, look out for them here. 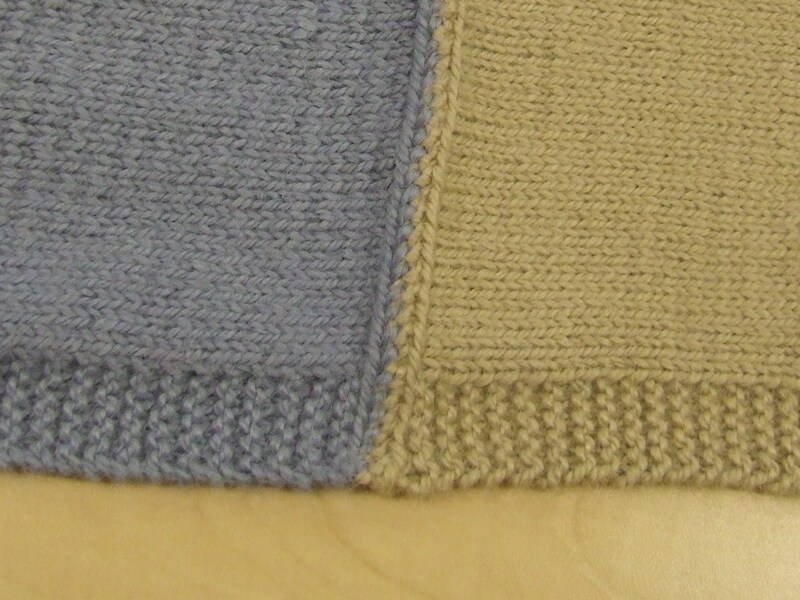 A little while ago I asked my mum to have a look at Garnstudio to pick out a design that she wanted me to knit for her. 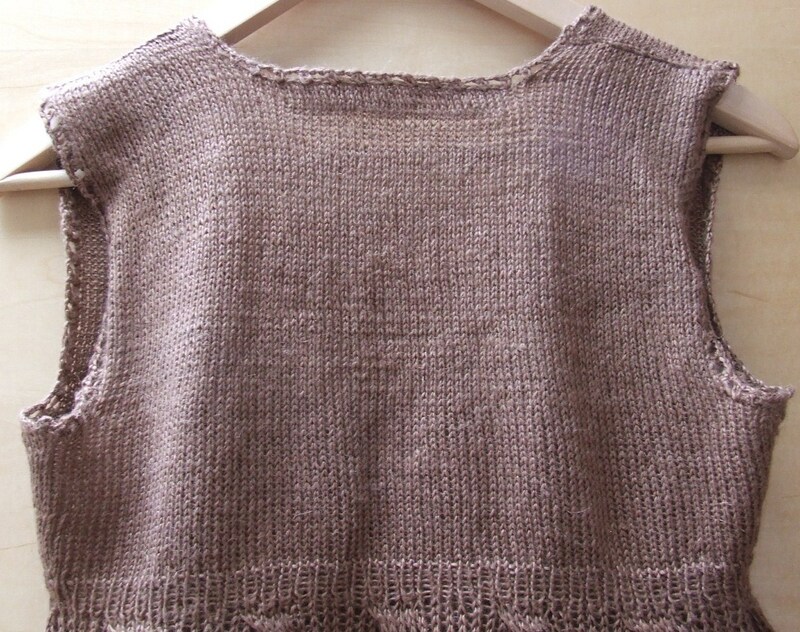 She picked this lovely linen tunic, for which I used exactly the yarn that is mentioned in the pattern: Drops Lin. 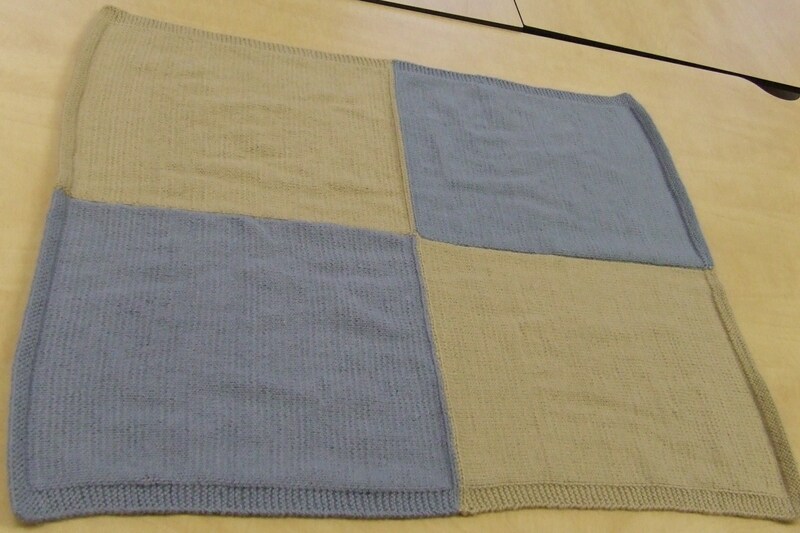 It was really easy to knit, but at first I was a little worried that it was a little rough around the edges. As the skirt was knitted with quite large needles it meant that the stitches were quite lose. 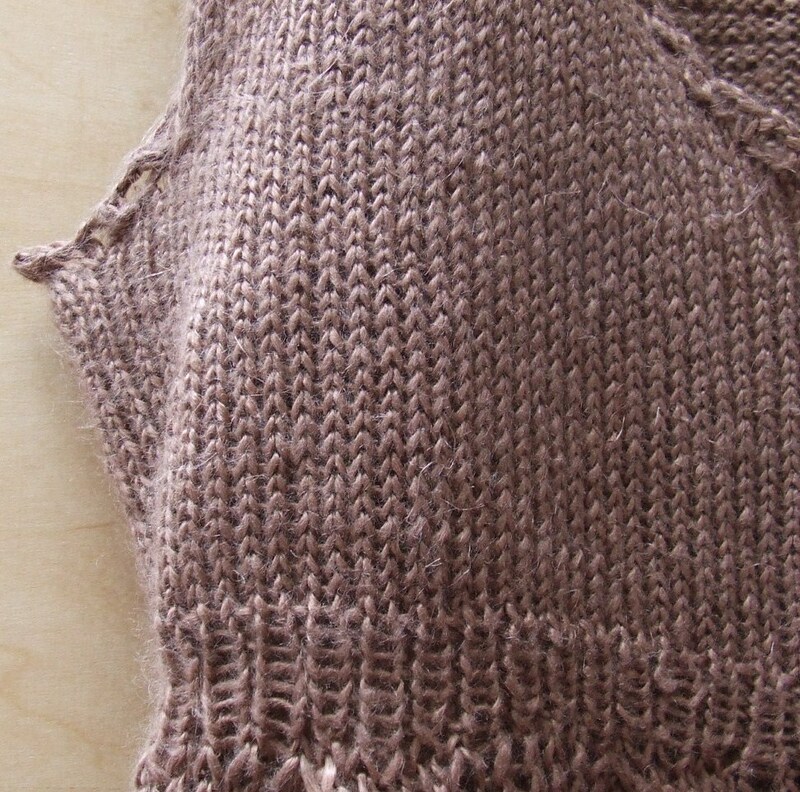 This is not something I’m used to as I always knit quite tightly, but it seemed to work well. Following the skirt I knitted some pleats for the first time ever. This was quite well explained in the Drops Design pattern, but I also found my Ultimate Knitting Bible that I recently bought (thanks to my friend Dom) extremely helpful. 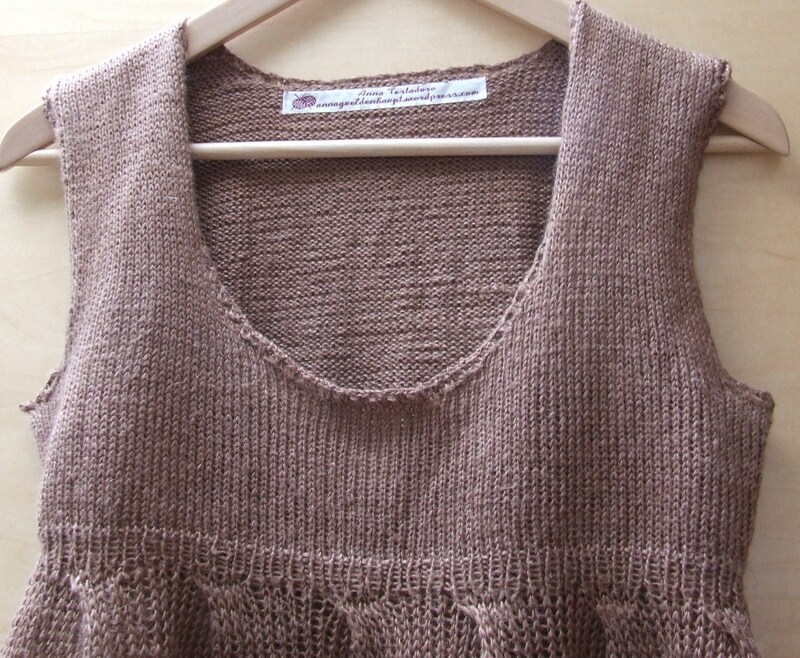 It explains very nicely how to do pretty much anything in knitting, how amazing is that? I made the smallest size of the dress as my mum is quite petite, and at first I was a little worried that it might be too small and that it wouldn’t fit her. But I didn’t have worried, it fits her perfectly and looks nicely elegant. I’m loving the fact that I’m starting to try out more and more new patterns as it is a perfect way to enhance my skills. I’ve still got a huge list of other things to finish, including a number of baby blankets (which take very long, compared to small baby clotes), some baby booties (nice and quick), a cardigan for myself (a new pattern) and a baby dress for a friend. I finished the dress off with a nice crochet border and of course my trusted label. I know it’s been a little while since I last posted and I really have been busy. I’ve been making more blankets (most are still in progress), finished the dress for my mum (she absolutely loved it, pictures to come later). 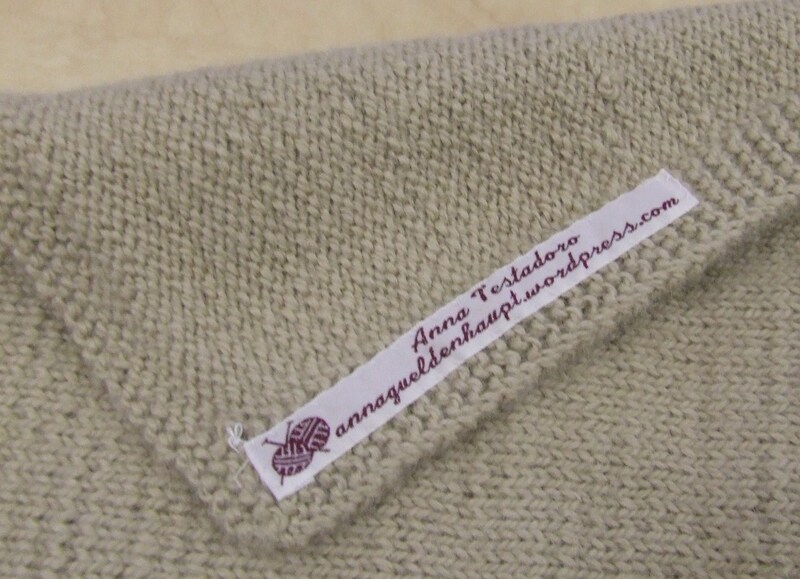 I’ve also started my new website and registered my own domain name, check it out: www.annatestadoro.com. I’m still trying to work out some of the background colour, add-on, etc. So it is a work in progress. And hurrah, I’ve also finally finished writing up my booties pattern, please find it here: Anna’s Booties. I’m offering this for free, all I ask is that you send me pictures of your finished booties so that I may add them to my blog. Also, do get in touch if you have any questions at all! Happy knitting!